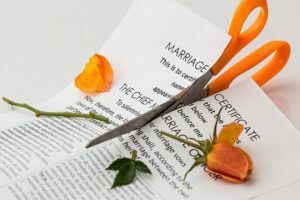 Negotiating with an ex who wants it all in the divorce can be frustrating, time-consuming, and expensive, but understanding the property division laws in Illinois, creating a solid strategy, and exercising a little patience can pay off in the end. Illinois is an equitable division state. This does not always mean the division will be equal. The law makes a distinction between property that has been acquired during the marriage and separate property. Problems can arise when both marital and separate property become commingled. However, the judge could choose to divide both types of property in whatever manner he or she sees fit if the couple and their divorce lawyers are unable to reach an agreement. Some cases are settled with a 40/60 split, an 80/20 split, or even with one spouse receiving all marital property. The process of dividing property can be made easier if separate property and assets acquired before the marriage are protected by a premarital agreement. Anticipating how the other spouse will defend his or her position during the divorce can be helpful. An angry spouse who has been cheated could feel entitled to a larger financial settlement. Meanwhile, where both parties agree to an amicable split, agreeing on an equitable split of assets could be more likely. Whatever the scenario is, emotions should be checked at the door when going into negotiations with the divorce lawyers. Before entering negotiations with the other spouse, it is important to have a solid strategy, understand divorce laws in Illinois, and evaluate the financial situation of the marriage. A financial advisor may be needed to explain the couples’ financial situation. Each spouse should have an idea of what they want and need from the settlement before negotiations begin.